Are you yet to comprehend what VR is all about? I must tell you, it is regarded as the future and as well the present. Hey, don’t be confused at that if you happen to meet the word for the first time. 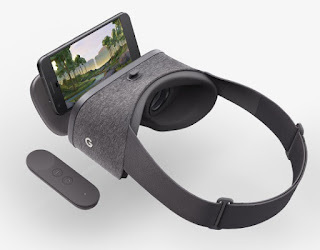 Google Daydream is simply a new sensation in the world of virtual reality and bringing it down to your own comprehension, the best use you can get out of virtual reality (VR) headsets remains playing awesome games. Although you can as well, utilize the headset tool just by watching movies via it. Since we are not talking about using the vr headsets for watching of movies which some of us may know before now. We are simply talking about the best use you can make out of Google Daydream while gaming. Now read on to know more on what the best daydream vr apps and games are all about and what you are to enjoy out of the gaming features. The Google daydream view tool happens to be one of the best Android virtual reality headsets that enable you experience and explore the virtual world. It gives you room to enjoy quality games and movies. Although the headsets are not free but sold, so it implies you buying it first before enjoying the vr games and movies. As you may have it, Daydream view is recorded as the first headset for lot of pixel owners. And that means, all pixel owners has the chance to explore all that VR games have to offer. Ther are more to explore on gaming once vr is involved. The Google Daydream in talk is well equipped with nice lenses and proper mechanism to secure your smart Android phone into headset. It was customized or manufactured in that way just to enable the game player to easily move the head and as well look around in the particular virtual world he or she is at the moment. Having enlightened you more on virtual reality above, below are the best new/latest Google Daydream apps and games available for download. To make it faster and easier for you to download, we decided to select the best among paid and free Google Daydream apps and games in apk, which you can install after seeing their details below. So get your Google Pixel ready for installation of these VR games from play store. NOTE: We are just listing the names for both free and paid VR games and apps here, so we expect you to visit play store and then search the games using their below names. There are lots of games and apps for virtual reality to explore, although I didn’t list all the games here. We can go ahead and enjoy the above while I update you with any latest that comes out for this year 2017 and future 2018, 2019 and 2020 vr games. Now, tell us what you think about VR games via the comment section. Thanks.